This content is provided by Fleur Onrust. Co-founder and partner at ENVIR Advocaten. Fleur Onrust specialises in general administrative (procedural) law (regulations, administrative enforcement, subsidies), and environment law (Seveso/Brzo, PGS, mining, REACH, waste, soil, noise, odour, energy, water) and nature conservation law (protected species and Natura 2000). Fleur Onrust regularly partners with corporate lawyers in corporate / M&A and real estate transactions, conducting environmental and administrative law due diligence and advising on environmental and administrative law matters, such as applicable regulations, permits and soil and ground water contamination. Fleur Onrust regularly publishes and lectures on environmental and administrative law topics. 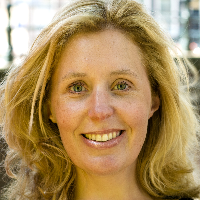 She Onrust co-authored a book on nature conservation law in 2017 and is a board member of the Kluwer publication "Module bestuursrecht" on administrative law.